After four rounds of voting and an assembly which lasted seven hours, none of the three candidates were able to muster the 50 percent plus one votes necessary to win. The Italian football federation (FIGC) failed to elect a new president on Monday to replace Carlo Tavecchio, who resigned in November following the national side’s failure to qualify for this year’s World Cup. “Nobody elected,” the FIGC said on Twitter. 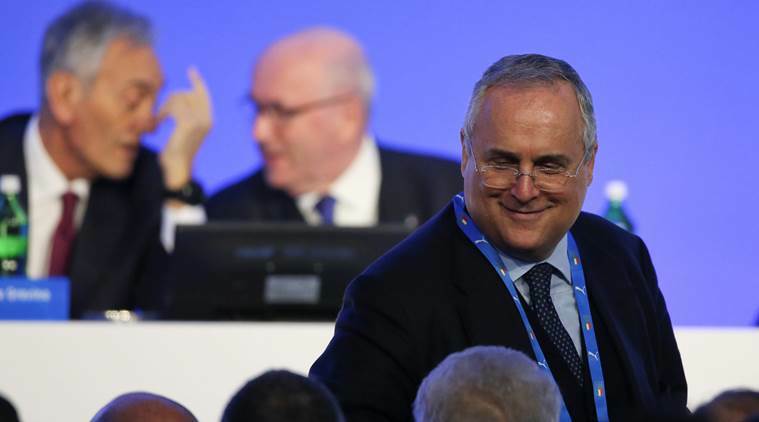 Italian media said the next step would be for the Italian Olympic Committee to appoint a commissioner. It was another embarrassment for Italian football which, in addition to World Cup qualifying failure, has seen Serie A become a poor relation to the booming English and Spanish leagues over the last few years. The three candidates were Damiano Tommasi, head of the Italian players’ association, Gabriele Gravina, head of the third tier Lega Pro, and Cosimo Sibilia, head of the amateur leagues (LND). The candidates needed three quarters of the vote to be elected in the first round, two thirds in the second round or over half from the third round onwards. Voting rights are split between delegates representing Serie A, Serie B, Lega Pro, LND, the players’ association, the coaches’ association and the referees. However, under the complex electoral system, each group has a different number of delegates with 90 representing the LND and only 20 for the elite Serie A.
Sibilia edged Gravina in the first three rounds of voting while Tommasi was eliminated after finishing last three times. However, it became clear that neither Sibilia nor Gravina would win after the players said they would spoil their ballot papers in the fourth round. Sibilia then tried to reach an agreement with Gravina ahead of the fourth round before also telling his supporters to spoil their papers. “We don’t have the right conditions to carry on, so I ask the representatives of the amateur leagues to leave their voting papers blank,” he said. Gravina said it was not his fault there was no agreement. “First and foremost, we need to apologise to all Italians,” he added. Napoli president Aurelio De Laurentiis said it was a predictable outcome.